I have a confession to make. I am addicted to Meadowbrooke Gourds. 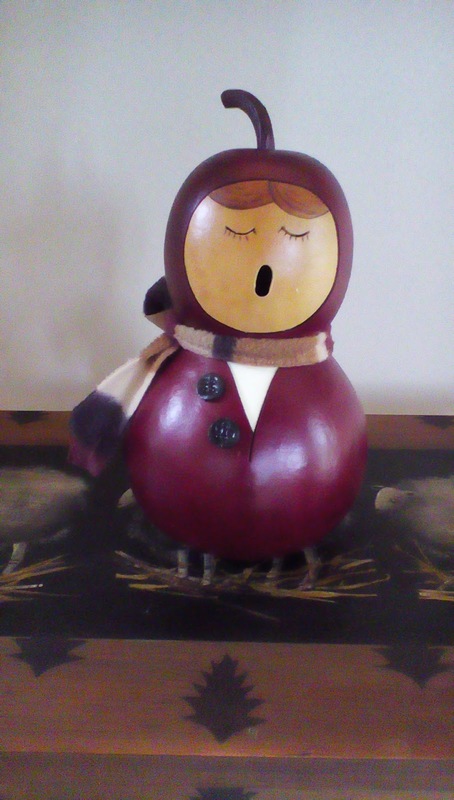 It started out innocently enough with two small bird gourds that my husband gave me as a present for Christmas. It has since grown to Santa gourds, snowman gourds, birdhouse gourds, mini-gourds, angel gourds, cat go urds, jack o’lantern gourds, elf gourds and more! This addiction can get expensive, so I’m always happy when there is an Oops Sale at Meadowbrooke Gourds. Occurring a few times a year, this sale is the perfect opportunity for me to feed my addiction (which makes me happy) and save some money (which makes my husband happy). Set up either inside their retail store or under a tent in front of the store, the sale offers a wide variety of gourds “with mistakes” that are offered at a discounted price. To be honest, Meadowbrooke Gourds must have very exacting standards because I can never see any obvious defects in these gourds. In addition to the fun of the sale, Meadowbrooke Gourds usually has food vendors and live music during these events, making it a fun evening out. I look forward to adding to my collection.